Blogging can be due to many reasons, maybe your addiction, maybe a career in your good quality. Many people who are planning to start new bloggers or blogging have the first question of how to get started. Google Blogger can prove to be a good option for them. Daily bloggers discuss social media and blogging communities. So I thought about publishing an article with a blogger and discussing some important information. Let's first start blogging, a big deal, where you do not know anything about blogs. There are many tools to start blogs today if you want you can easily create a redeemed blog/website. But if you talk about free options, free Google Blogger can always prove to be the best option. Google Blogger is a Google Free Blog Publishing Tool. Many new bloggers and the very beginning of my own started with the hand of Google's blogger. Although the blogger I used to use was another kind of thing, but at present, there is a lot of improvement and difference in the blogger. You can now easily create a shiny blog without spending any type of budget, using Google Blogger. The main focus of the blog is that it is totally free, you do not have to pay a single hosting fee, and you will get free visitor counters, and you can earn money from this Google Blogger if you want. A blog can be written about your own life, it may be written with your work, it may be written on more than thousands of topics. Good news is that you can create many types of blog sites on Blogger. It is also easy to use Blogger, if you have basic internet knowledge, you can easily create a blog using Blogger. Although there are many more feature-rich blogging tools in the current market, bloggers can be just simple solutions. When I thought of creating the first blog/website, I could not imagine how to build my website/blog. 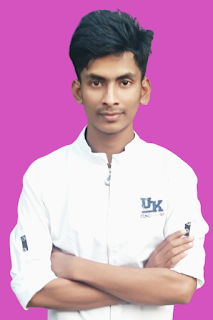 There was no idea about domain hosting, and I did not know about webpage designing. You are currently getting many tutorials in your own language by searching Google, but they could not be found a few years ago. Of course, Google Blogger is definitely an alluring option for beginners. 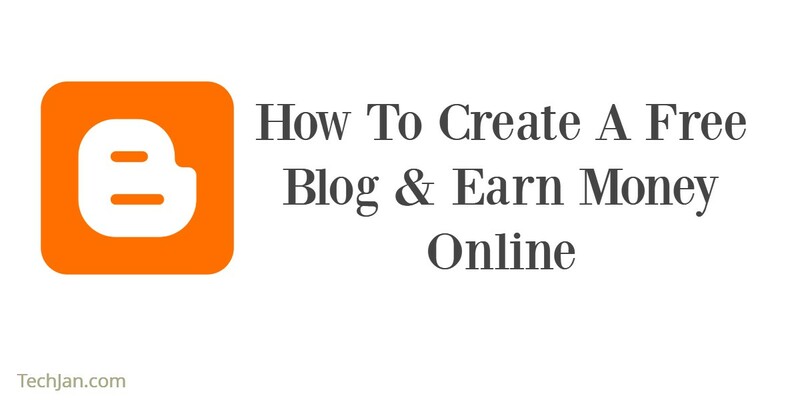 You can, of course, create your first blog site in Blogger. But if you have the ability to spend money and have the idea of creating a website or blog, then I will be ready to create a blog using WordPress CMS. Blogger VS WordPress This article can help you. But again, if you are new to the beginning, definitely the blogger would better start. But there is one thing that is important to keep in mind. Google does not insist on this blogging platform, it may mean that within a few years Google Blogger will be shut down, that means what they're saying by their records. However, there is no reason to worry, you can migrate your blog from WordPress to any WordPress or separate CMS at any time. Bloggers set up blogs as easy as water. Of course, you can create a Blogger account through your Google ID. You have to set the blog name, choose a sub-domain if you like a template, then the diameter blog will be created. You can create many blogs from a Blogger account. This way you can separate another blog from a blog. Blogger will provide you a sub-domain, for example,TechJan.Blogspot.com - But if you want, you can link your previous blogger site by purchasing a top-level domain by spending some money. It will look better on your site's impression, with the help of your blog reader to remember the blog name. On the other hand, you do not have to worry about web hosting, but if your blog gets popular then there is no fear of staying down. Google Blogger has everything you need as a new blog creator. You can easily create posts, create custom post links, add images to posts, and add videos. Besides, the poster of the blogger is very good to see the post preview before posting it. An interesting feature of Blogger is that you can configure your blogger with a secret email, then by sending e-mail, you can post a blog on your blog. Adding an image to the blog is as easy as water, after dropping the image from your computer and dragging it to the post, the image will be set. You can also use images from Google Photos, or you can embed videos from YouTube. Not only this, you will be able to customize a lot of things on your blog. You can download free or premium templates by uploading to the blog and changing the design and using the gadget, you can set different types of functions on your blog. You can buy a template, you can create it yourself, customize it as well. The best thing is that if you have some basic knowledge, you can make a lot of beautiful or say that your blog designs can be picked up in your mind. Besides, if you have advanced knowledge of CSS, no words, it is possible to give a serious look to your site. Many social media support Blogger by default, so there is a lot of benefits to sharing blog posts. Moreover, using some automatic third-party tools, your blog post can be automatically shared on social media such as Facebook, Twitter, Google Plus etc. It's a blogger free, you do not have to spend $ 0.01 for the hosting bill, secondly, you can earn money if you want. If there are many readers on your blog, then Google Adsense can be used to earn money by displaying advertisements on the blog using Google AdSense. Using Google AdSense with Blogger is a lot easier, you can control everything quickly. Another big problem is that, as soon as your blog gets bigger, the risk of hacking is greatly increased, the Internet is a great place to live. If your site is created in Blogger and you can keep your Google account secure, then your blog will not be able to hack anyone easily. Professionals Do Not Use Blogger? Many people create their first blog site on Blogger, but when they get popular, almost everyone passes their blog on a professional platform such as WordPress, but why? Of course, Blogger is a good quality tool, but it is a different tool such as a lot more than WordPress. Your site may be your blog, but you do not have much, in Google's hands, if you want Google, your site can ban at any time and may not return. Moreover, if you want to control advanced type on your site you must host the site on your host. CMS like Wordpress can have more control over your blog, small functions can be extended to enhance the blog's function, Better SEO can be done, more control can be brought to display ads. So bloggers are not ideal for professionals! But there is a reason why not use Blogger to start! Look, here's some nice thing to say. Are you brand new at blogging? Do not know anything Blog is just for your hobby? There is no desire to earn or is it not full time? Yes, you use Blogger. And if you want to accept blogs and blogging seriously and want to earn money by full time blogging, you must buy hosting money and create a website/blog using WordPress or separate CMS. Where you can have more customization options and more control over everything else. Although Blogger is a good tool, it is a lot less. You can not create a social networking blog site, as easily as possible in WordPress. Moreover, the type of advanced functionality that WordPress can unlock, cannot imagine them in Blogger. After having no higher skills, WordPress can create professional sites. Adding the functions of the site to Wordpress means that it is as easy to install just one app on Android phones, which can not be done by Blogger. Anyway, if you think overall, certainly Google Blogger is a great blogging tool that is totally free. But keep in mind, it is not for the professionals!